If you’re brand new to these topics and looking to discover your innate talents—I suggest Sonia Choquette’s The Psychic Pathway book. This workbook covers many metaphysical areas that helps you to try on different divining tools and see which one is a comfortable fit for you. Sonia also has a wonderful book, Diary of a Psychic, which is an autobiography of her life. One of my greatest metaphysical teachers has been Linda Goodman. ALL of her books are applicable to your studies. Star Signs was my very first metaphysical book! It is a magical book that will exhilarate you with possibilities! My personal friend, Ted Andrews, was also a pioneer in metaphysics. My favorites of his titles:How to See and Read the Aura, Animal Speak, Animal Wise, Enchantment of the Fairy Realm, Simplified Magic, Healing with Color, & You the Healer. Astrology has always been my first love. The best beginner’s book is Joanne Woolfolk’s The Only Astrology Book You’ll Ever Need. You will need to get a copy of your astrology natal chart to understand the book. Go to astro.com and calculate a free natal chart. Another fabulous tool for learning your astrology chart is Monte Farber’s Karma Cards. I know, the name is misleading, but the deck is divided into 3 sets of cards: planets, signs, and houses. You can lay the cards out to complete a sentence about your astrology chart placements. My favorite decks, thus far, have been: Robin Wood Tarot deck, Sulamith Wolfing Lover’s Oracle, (Sulamith was a fantastic German artist who connected to the angel and fairy realm), Inner Child deck, (full of fairy tale depictions), Universal Waite deck, OSHO deck, Karma Cards, Doreen Virtue’s Romance Angel deck, (these come with their own cherubim love angels; you’ll feel them! ), Doreen Virtue’s Goddess Guidance Oracle cards, Jamie Sams’ Medicine Cards, and Linda Goodman’s Star Sign deck. Feng Shui is another one of my tools that I work with simply because our environments are so intertwined in our dream manifestations. Feng Shui involves two main schools of thought: compass and form School. I was certified in form school. Lillian Too’s feng shui books are hands down the best books because she maintains the integrity of the Eastern culture. She combines compass and form school philosophies. The Western Guide to Feng Shui by Tara Kathryn Collins is based in form school and very user-friendly. I received certification through her Western School of Feng Shui. A word on religious and philosophical thought:I work with religious clients who feel safe knowing that my work has a strong spiritual basis; however, I also have clients who do not desire any religious or spiritual references in our work. For me, spirituality is a way of life based on values and personal character. My path began with an exploration of the world religions and various branches of Christianity. I now rest without religion, content in the knowing that ALL is divine because energy permeates all things. It is impossibe to ever find separation from Divine. If you would like to broaden your spiritual perspective, some recommended reading: Eckhart Tolle’s The Power of Now, any Neville Goddard book, Abraham Hicks’ Ask and It Is Given and Getting in the Vortex, (with excellent meditation CD), books by Joseph Campbell, and for the scientifically minded student, read the deep channeled concepts of Jane Roberts in Seth Speaks and Nature of Personal Reality. While much of my spirituality & psychic phenomenon have been intuitively understood; I did appreciate a solid scientific explanation as discussd in the quantum physics movies: “What the Bleep” and “What the Bleep? Down the Rabbit Hole Quantum Edition”. If money is currently tight, take advantage of your local library. Many of these recommendations will be found there. Above all, trust your Inner Guidance to lead you toward your natural gifts and preferred learning method. If a particular teacher or subject feels “off” to you, move away from it. In the beginning, I was very hungry for knowledge and looking for a guide; I found myself in some very dangerous psychic territory. Power-hungry people are drawn to these arts; trust your instincts! I received a call from a new student who said she had considered studying her innate psychic gifts but was warned by her potential teacher that she would need to encounter “scary things”. I’m grateful that she trusted her intuition and passed on that particular teacher. I cannot imagine uncovering scary things– unless you’re dabbling in darker energies that are better left alone. Mystical Empress offers workshops and private classes to clients. Please go to workshops and classes section on http://www.mysticalempress.com website. What is your experience & background in this work? I began a serious pursuit of metaphysics at the age of 17. I was passionately consumed with the desire to know more, mainly to understand myself better. I lived in the South, right on the cusp of the internet explosion, so, much of my learning was self-taught through devouring as many metaphysical books as I could find. Much of my passion was kept secret because as word eventually got out, I was accused of being a “devil worshiper”. As I learned my own astrology natal chart, I found a packed 8th house and knowledge of being a High Priestess in Atlantis and Greece. Although I was adopted, I found that my maternal grandmother was born on an Oklahoma Cherokee reservation. I’ve uncovered many past lives in this work, and I suspect that I have a long line of gifted ancestors. I followed my natural bliss excelling in the divining tools of astrology, tarot, feng shui, automatic writing channeling and psychology. I received my Feng Shui Certification through the Western School of Feng Shui and then went on to achieve my Masters degree in Metaphysics, following Sonia Choquette’s lead. I will most likely complete my Doctorate degree, also. For 16 years, I’ve worked with clients seeking direction in their lives. I’ve created multiple, unique services that apply Law of Attraction and quantum physics principles. I’m not understanding what a life coach does? What’s the difference in personal classes and life coaching? My clients come to me from all walks of life: interior decorators, business owners, yoga teachers, psychics, school teachers, writers, students, married couples, teenagers, accountants, artists… among others. They arrive feeling stuck or confused in their lives. They seek powerful, positive new direction. Through discussion, I discover what their dreams are; what they wish to achieve in their lives. I then offer self-empowering guidance and specific quantum physics and law of attraction exercises that teach my clients how to shift direction and direct their personal energy toward their true intentions. We learn to stop unconsciously directing energy toward unwanted outcomes. Oftentimes, a client begins as a private student and then evolves into a life coaching client. Private classes teach you how to learn your innate psychic skills and deepen your awareness of energy fields. Life Coaching works toward manifesting a specific personal goal or dream. Life Coaching often begins with an obstacle or problem in your current life experiences. I do include psychic skills in the life coaching process. Oftentimes, a client begins as a private student and then evolves into a life coaching client. I’ve never had a psychic reading before. Do you have any suggestions? I strongly suggest that you trust your instincts in choosing a psychic. We each have our specialized skills and approaches to readings. I personally do not perform predictive readings. The only moment that matters to me is NOW because this is where your creative power exists. My entire purpose in my work is to empower people to deliberately create their lives as they desire– from this moment forward. I‘ve found that when a person is told of a future possible reality, they stop deliberately creating what they choose that future to be. I do not choose to etch my clients’ destiny in stone; rather, I intend to be the Guide who lights their way! In addition, I advise that you calm your mind and center yourself before your reading. I get hysterical clients, and their energy makes it difficult to get a pure reading on the topic. Also, chaotic energy creates obstacles that separate you from your desired outcome and make you closed off from solutions. I’m fascinated with psychic readings, but I’m terrified I’ll be told I’m going to die! What if the “Death” card comes up in the reading? .I find this to be the biggest concern of newbies to psychic readings. First, as with all professions, there are people who stand in integrity and there are those who do not. Research your reader. Do they feel good to you? Do they feel dramatic and sensational in their approach? A responsible reader wouldn’t ever give you a death prediction,(even IF they could see it)! A quality reader empowers you; they do not terrify you and make you feel powerless. My concern is that the client would be so terrified of the prediction that they’d attract a negative episode following the reading. You must understand that a reading is ever only a snapshot in time. It’s like going to the doctor for a blood pressure test. You wouldn’t get hung up on one blood pressure reading, would you? Your doctor would advise you on how to shift the reading for a better outcome. Psychic readings show possible outcomes based on the energy field you are currently carrying. There are many possible paths in any single life. If the current possible outcome isn’t to your liking, you simply shift the energy path you’re on. In my readings, I gently guide clients with energy shifting tools. In my work, the guidance offered is more important than the actual card reading. The “Death” card is about major change coming into your life. Doors are closing; endings are taking place. I liken this card to a rose bush that is in desperate need of pruning. The bush has lots of deadwood, (things that no longer promote growth), and by pruning away the deadwood, we see an upsurge of new growth, which always follows the death card. Personally, I love knowing that I’m not stuck in a rut and that my life is moving forward! Don’t you? What is your approach to psychic readings? Readings are a tool to determine a client’s current energy field. This field reveals a possible set of outcomes. If these outcomes are undesirable, no problem, we shift them! Tarot Card Readings: I pull from three decks, a blend of oracle and tarot card sets for each reading. The variety of cards gives me a big picture of the client’s current energy field. 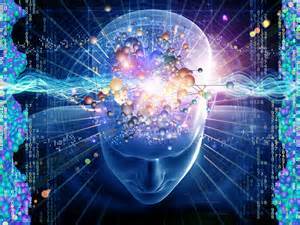 If the reading shows unwanted energies, I guide my client with quantum energy shifting techniques. Automatic Writing Readings: through automatic writing, I channel your guides, angels, higher self, and ancestors to receive higher level, uniquely personal, information for clients. These readings are like love notes from the higher realm. They offer powerful guidance because no earthly human knows you as well as your Higher Self. Astrology Chart Readings: I review the birth, transits, and progressed astrology chart trends for specific energy patterns to answer client questions. « Pisces: Rescuer, Victim or Mystic?